As we reported in this week's Fair Game, Vermont Democrats are worried that incumbent State Treasurer Beth Pearce is being vastly outspent by forces loyal to her Republican opponent, Rutland City Treasurer Wendy Wilton. Most troubling for the Dems: the conservative super PAC Vermonters First, which has fastened on to Wilton's candidacy — financing television ads, mailers and robo-calls on her behalf. Today, Pearce's campaign started to fight back on the airwaves. According to records obtained from four Vermont television stations and confirmed by Pearce's staff, she has secured roughly $20,000 worth of ad time during the final week of the race. Most of that money — $16,700 of it — will pay for 52 spots on WCAX-TV. Another $3200 will be split between WPTZ-TV, Fox44 and ABC22. Peace's campaign manager, Ryan Emerson, says that while they have yet to be produced, they will be "positive ads about Beth's record." Will a $20,000 ad buy do the trick? Tough to say. As we reported last week, Wilton's campaign has booked $11,254 of airtime on WCAX during the final two weeks of the election. More significantly, Vermonters First has spent at least $200,000 on ads supporting Wilton and state auditor candidate Vince Illuzzi — as well as opposing the Democratic health care agenda. Wilton campaign spokesman Bradford Boyles, meanwhile, says, "There will be further buys on Vermont television that we'll make an announcement about when we do it." 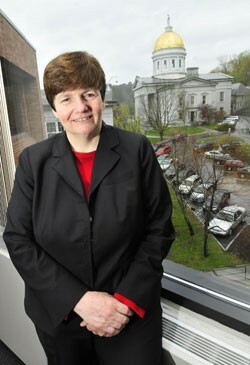 Seven Days file photo of Beth Pearce by Jeb Wallace-Brodeur.